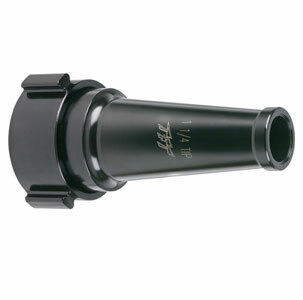 STRAIGHT TIP 1.125 BORE X 2.5" FEMALE INLET with smooth inside taper to 1.5" (38mm) threaded male outlet. 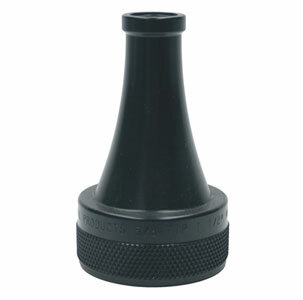 2.5" (65mm) NH rocker lug full-time swivel coupling inlet standard. All lightweight materials. 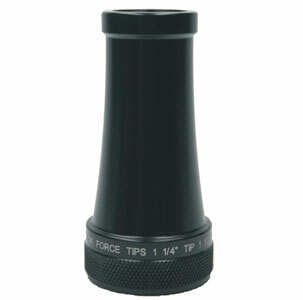 STRAIGHT TIP 1.25 BORE X 2.5" FEMALE INLET with smooth inside taper to 1.5" (38mm) threaded male outlet. 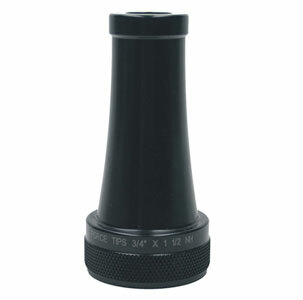 2.5" (65mm) NH rocker lug full-time swivel coupling inlet standard. 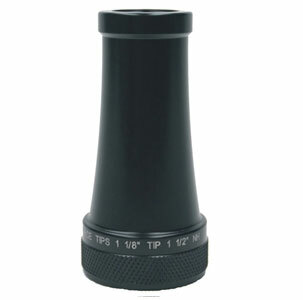 All lightweight materials. 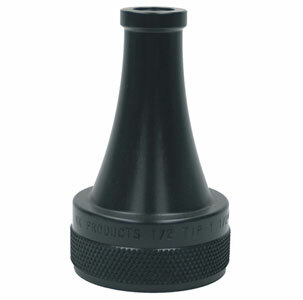 STRAIGHT TIP - 2.5"NH (65mm) INLET with smooth inside taper to 1 ¼" (32mm) tip. 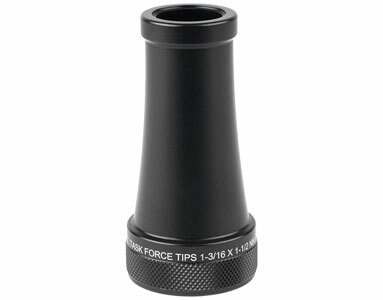 This lightweight tip is hardcoat anodized and has easy to read pressure/flow charts laser engraved. 2.5"(65mm) NH rocker lug full-time swivel coupling inlet standard. 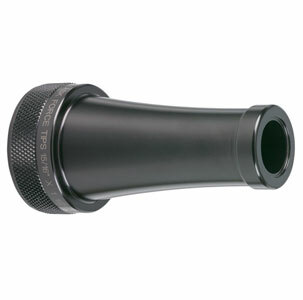 All lightweight materials. 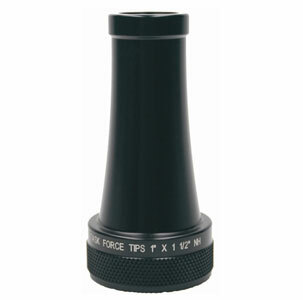 TFT Straight Tip 15/16 x 1.5"
TFT - 1" Straight Tip x 1.5"